What’s your personal dislike about League Of Legends? For many, it might be laning against unbalanced champions. For instance, Irelia, Kai’Sa, or Nami (Nami is the most broken support in existence). Maybe for others, it could be the League Of Legends community itself. I swear, there’s an abundance of toxic mofos out there. The journey of leveling up a new League Of Legends account to level 30, is no doubt one of the worst experiences to exist. I’m not exaggerating one bit. 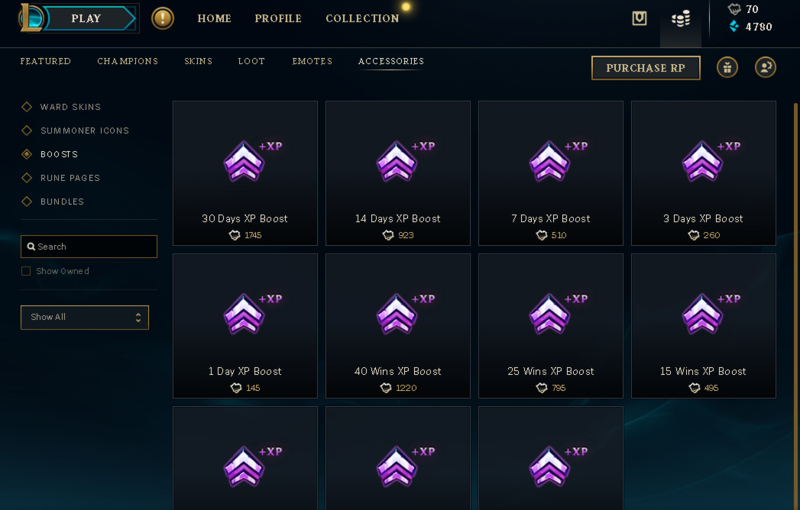 I’ve personally levelled up accounts many times (I used to sell League accounts), and I absolutely hated the process each time. I mean, why doesn’t Riot sell level 30 accounts themselves? It’s not like smurfs are going anywhere, plus it’s a total waste of time. Fortunately, I discovered and learned a couple helpful tips during my power leveling days. It definitely made my life much easier. And you know what? I’ll share them with you, because I’m such an amazing person. No EXP Boosts or Yes EXP Boosts? Before I get started, let’s talk about exp boosts. Do I recommend buying XP boosts? I absolutely do! This guide can be used to its maximum potential only with the help of boosts. You have to trust me, as I have plenty experience. If you don’t use boosts, you’d most likely need around a month to get a fresh account to level 30. Moreover, not everyone can play League Of Legends for hours upon hours on a daily basis. I’m aware you guys also have lives and responsibilities. If you really insist on skipping exp boosts, I’m fine with that. You might be able to find and grab a few helpful points. Look, you clicked this page for the fastest way to level 30, and you’re going to get it. But, if you’re serious, you’re going to need to spend money. If you dislike leveling accounts more than me (not possible), it might be better to buy an account instead. And no, Riot Games won’t come knocking at your door, demanding that League Of Legends account (you can sleep without worries). The only one that matters: skip probably the most boring experience to deal with (only applies to veteran players). Also, you could end up grabbing a real treasure. For example, an account with thousands of unspent Riot Points and Blue Essence. I’m exaggerating, but the chances are there. I remember a time when I used to buy accounts from a couple different websites and forums. 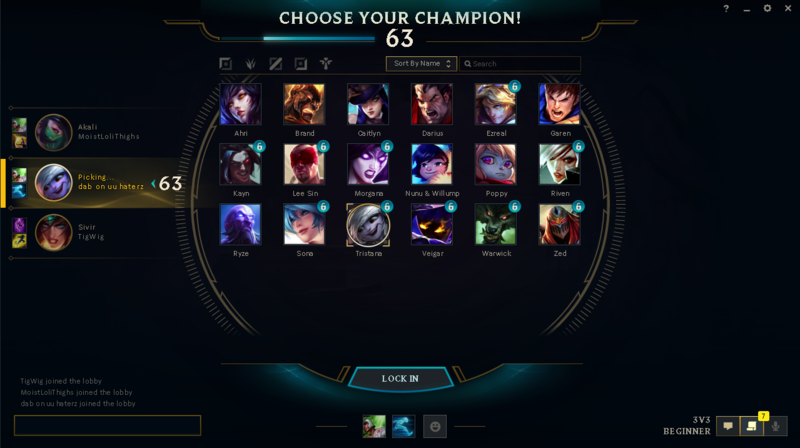 Most had decent Champion skins and maybe a couple hundred Blue Essence. On the other hand, there was this one time when an account contained around two-thousand Riot Points (jackpot!). The only one that matters: being given a stolen or botted account in disguise (usually from unknown individuals and websites). It’s important you carefully purchase your League Of Legends accounts from trusted and reputable places. I really can’t stress this enough. Doing this website have a blog? Are they active on social media? What do the reviews look like? UnrankedSmurfs is one website I trust when buying accounts. Are you curious on how most account sellers and websites acquire accounts? Leveling League Of Legends accounts themselves. By purchasing from players or boosters. Purchasing botted or cracked accounts. What makes botted or cracked accounts risky? Most botted accounts are banned sooner or later (most occur within a month). Most cracked accounts are eventually taken back by the original owner. Signs for a botted account? Match history looks suspicious or strange (for example, averaging more than 10 deaths per game, losing most games, and only using Ghost and Smite). In-game settings are funky (for example: you can’t see HUD, game settings aren’t touched). Exclusively playing ARAM or Twisted Treeline games. Anything good about risky accounts? The prices are unbelievably cheap and affordable. There are always tons of accounts in stock. What kind of account should you buy? For a secured smurf account, purchase from trusted and known sources (for example, sites such as UnrankedSmurfs or LoLEpicShop). You might find their prices expensive, but it’s definitely worth it. What if you’re a little tight on budget? Test your luck and purchase a few cracked accounts (chances are, the original owner quit and isn’t coming back). This power leveling guide from Glacial is definitely the best. He quickly covers the main points, and he does them well. Continue reading if you want to learn my method of leveling accounts. Keep in mind, it is not much different from what is explained in the video. 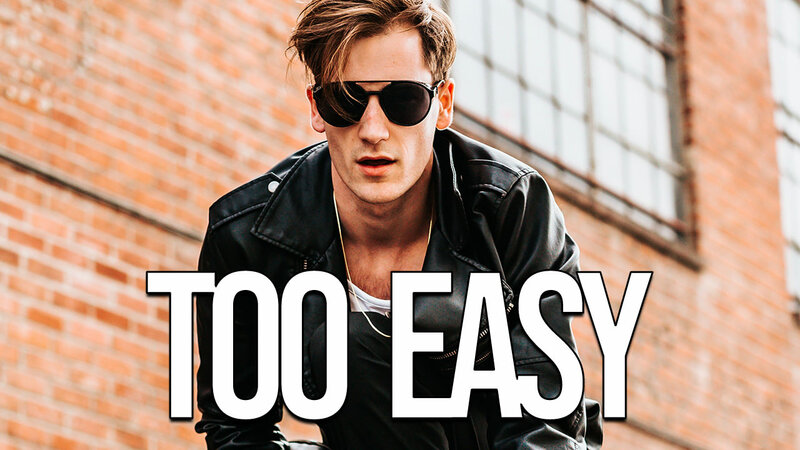 Logging into League Of Legends with a fresh account sends you to the Tutorial. 1) I know you want to exit and start grinding levels, but wait a second. Make sure to complete the Tutorial because the rewards (3K Blue Essence and Level 3) are worth it. 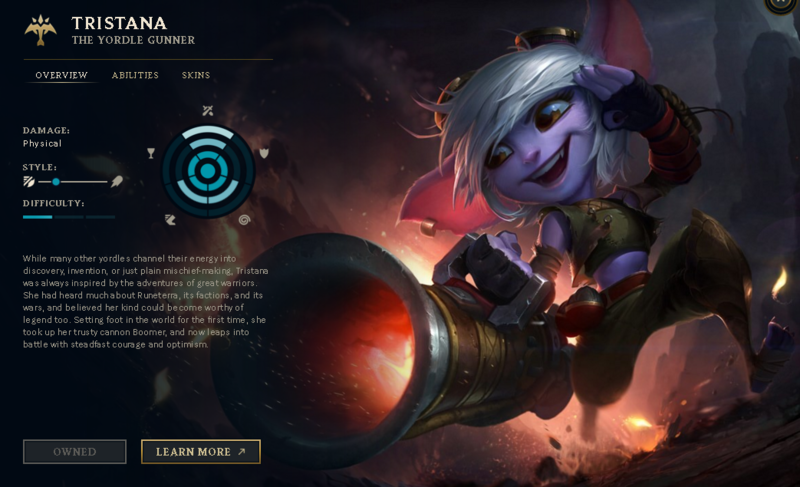 2) Spend the Blue Essence on atleast one Marksman champion (I strongly recommend purchasing Tristana). 3) Win two straight matches in 5v5 Normal Blind Pick Mode to swiftly reach Level 5. 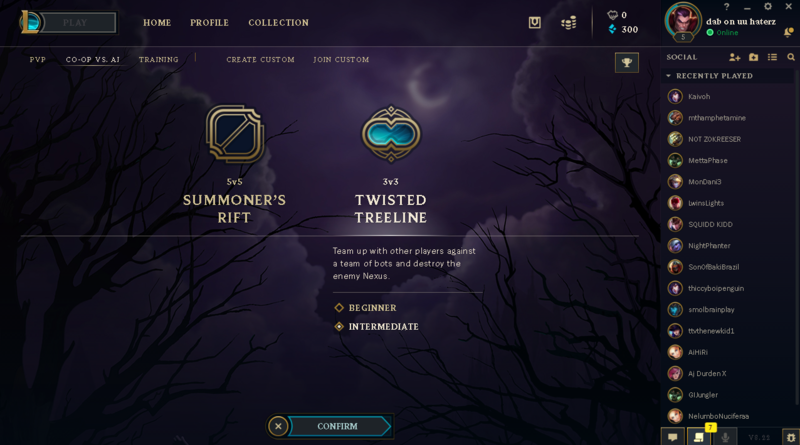 Once you are Level 5, prepare yourself for the power leveling grind in AI Twisted Treeline. This is the perfect time to purchase XP Boosts! I highly suggest getting both Day XP Boosts and Win XP Boosts (get the most out of the boosts). The common leveling strategy goes like this..
1) Start an AI Twisted Treeline match. You can select either Beginner or Intermediate Mode; it does not matter too much. 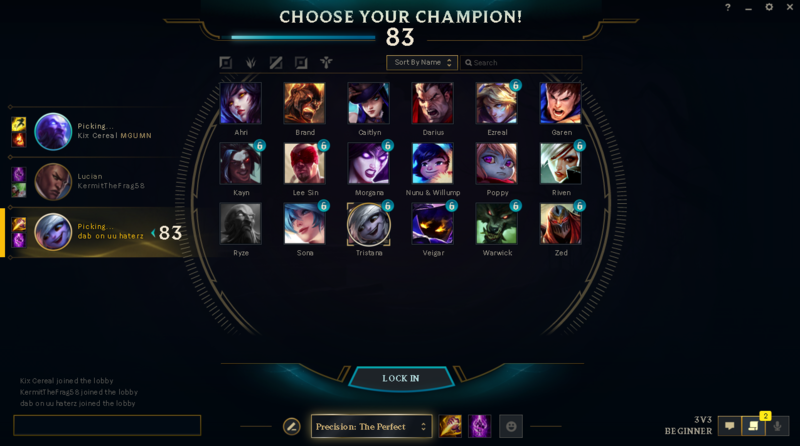 2) When you connect to the Champion Select Lobby, choose an Attack Damage Carry (ADC) Champion. 3) Before Level 9, do what you want regarding Summoner Spells. However, you must select both Smite and Teleport at Level 9. 4) Always call Bottom Lane because it is a solo lane. The Top Lane in Twisted Treeline is a duo lane, so we want to avoid that. 5) It is important to finish matches between 7 to 8 minutes. Ending before 7 minutes rewards less XP, and playing for more than 8 minutes is wasting time. Use Smite on jungle camps for health, or you can use it on lane minions to push faster. You should not have to back more than once; save Teleport for the final push. During Champion Select, try informing your teammates the power leveling plan and to push bot with you. 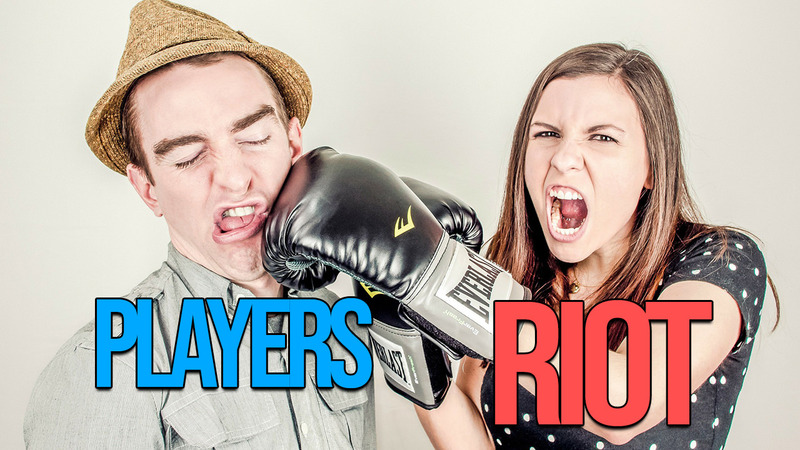 It is not uncommon to find other players power leveling as well; join them. Power leveling is enjoyable with friends; go to your region’s League Of Legends forum and find some. I’ll remind you again that power leveling in League Of Legends is not a fun experience. 1) Unfortunately, to get the most out of your boosts, you’re required to consistently play AI Twisted Treeline games exclusively. 2) Like I mentioned before, an ADC Champion is a must when power leveling in Twisted Treeline. Personally, I recommend Caitlyn, Tristana, or Draven. 3) Players with low levels only have access to locked Rune Pages (like the one above). Although the default pages are not terrible, there are better options. 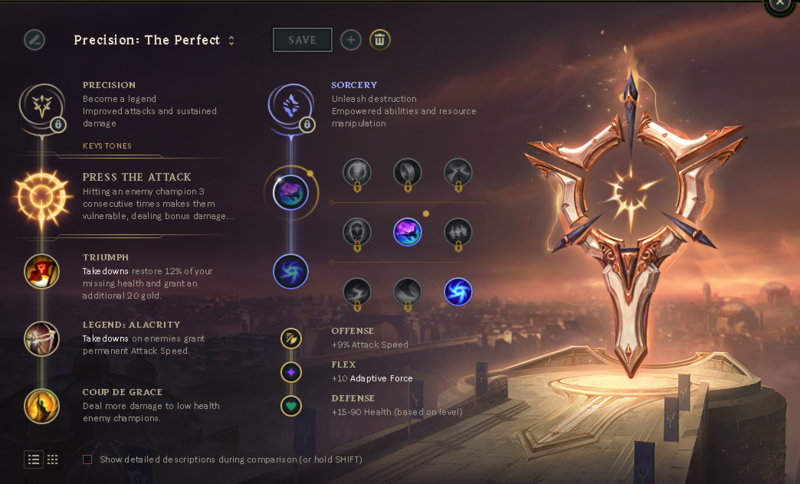 3) In my opinion, this is the most optimal rune page for power leveling. I chose Fleet Flootwork only because it’s a personal preference. Alternatively, Press The Attack and Lethal Tempo do the job just the same. 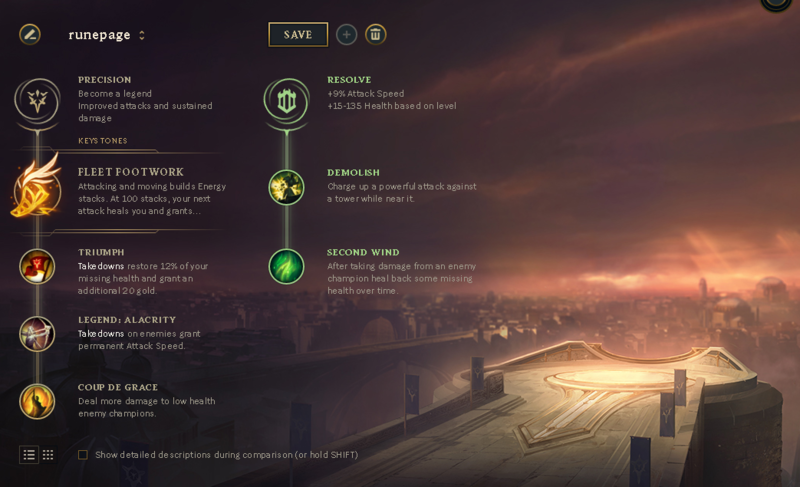 For secondary runes, I strongly recommend Resolve, as it allows you to grab Demolish (makes destroying turrets a lot easier). ready to grind tons of levels? I’ve given you my advice, the power leveling method, and my suggested pre-game setup. I believe you’re prepared to easily breeze through to Level 30. Make sure to play AI Twisted Treeline matches exclusively. Select only Marksman type Champions. Use both Smite and Teleport (if available). End all your games after 7 minutes, but not after 8. If you care about your sanity at all, purchase XP boosts. I think most of us can agree that there are pros and cons to everything we do. However, what are some pros and cons to power leveling accounts? Strategies are simple to follow and understand. Not good for inexperienced players. If you’re an experienced player with a bit of money and time, why not power level a new account. You might be able to finally rank with your buddies stuck in low-elo. However, it’s a different story for beginners. I absolutely do not recommend power leveling for you folks. You’ll miss tons of valuable experience and knowledge needed when playing ranked or normal games. I hope you properly savored my guide on the fastest way to level 30 in League Of Legends. If you have questions or feedback, please do let me know in the comments below.